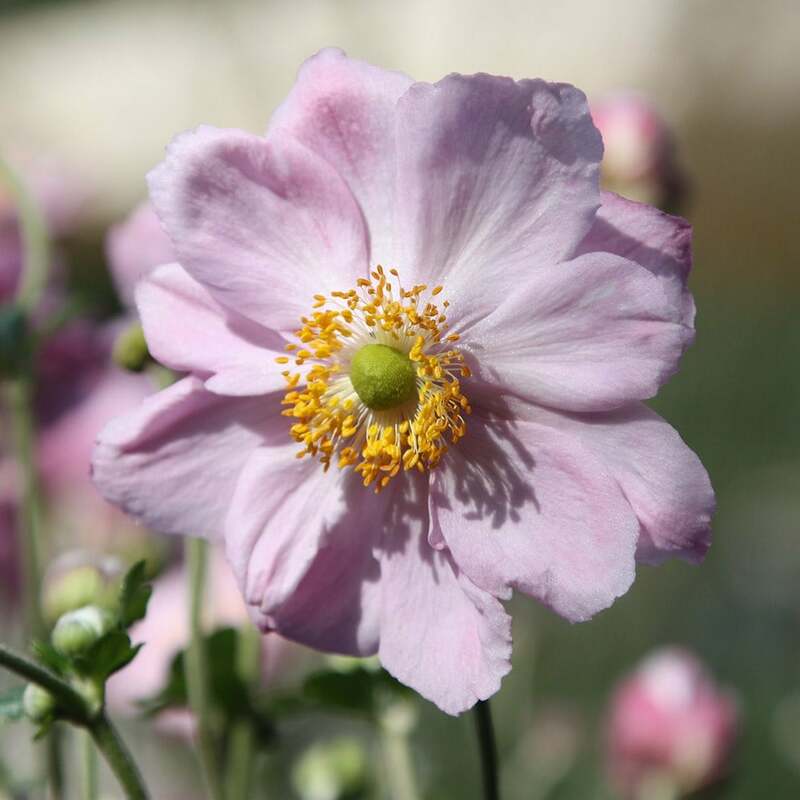 A fabulous plant for bringing colour to the garden in late summer and autumn, this Japanese anemone produces masses of large, pink, cup shaped flowers on tall, wiry stems from August to October. 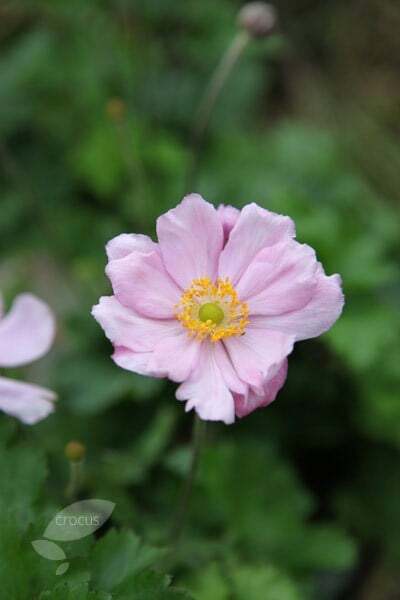 The leaves are pretty, too - vine-like, dark green, and semi-evergreen. 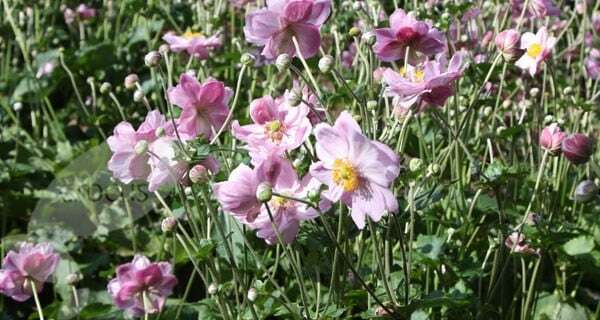 These award-winning, semi-double, Japanese anemones are perfect for areas of partial shade towards the back of a moist herbaceous or mixed border. 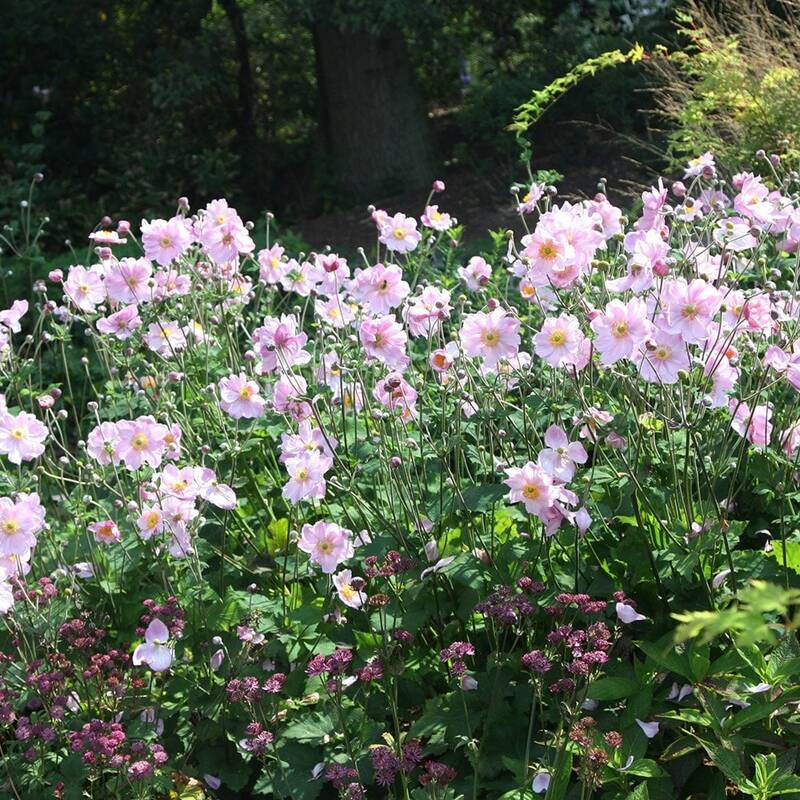 One of our recommended plants, if left undisturbed they will soon spread to form majestic clumps.